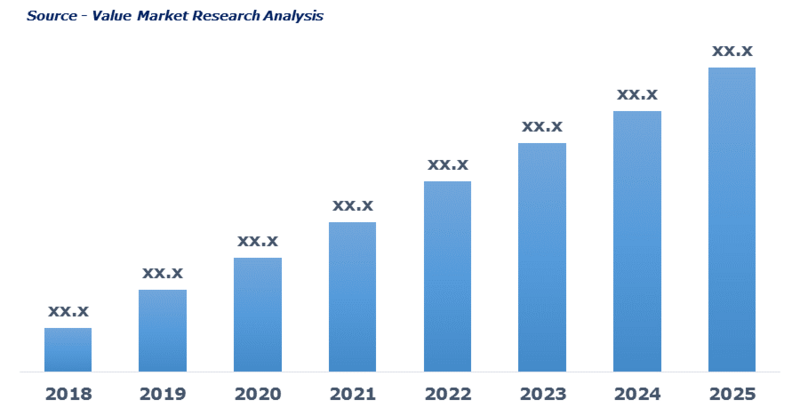 As per this study, the Global Micro LED Display Market was valued USD 0.4 BN (by revenue) in 2018 and is anticipated to reach USD 17.6 BN by 2025 with a CAGR of 75%. Micro LED refers to the flat panel display technology that uses tiny LED devices to create color pixels. Micro LED is thinner, more power efficient, possess higher resolution power, resistant to burn-in and have super fast switching time than that of OLED. Micro LED also posse’s additional benefits such as low power consumption, improved color saturation and brightness and ultra HD picture quality.